I get it from him. This penchant for waving my arms as the words of a story won't come out fast enough and somehow the waving speaks life into my thoughts in a way syllables never can. Life. What a precious gift. It's been eight years. Eight years yesterday. My sister, Cara, had the impossible task of calling all of my siblings - all eight of us - and telling us that Dad was gone. He died from mental illness. This silent killer that makes even close friends squirm when you talk about it. This painful, wretched stealer of dreams and futures that takes grandfathers away from their grandchildren and Dads away from their sons and daughters and it passes through generations in a vicious cycle that bears down on the souls in its path and leaves behind a nagging, aching, "Why?" I don't know that I'll ever understand it. Maybe I don't want to. Shame, guilt, longing and fear - mixed together in a secret recipe for sorrow. I suppose this time of year is when I think about it the most. It's the time of year when I cry about it. Well, this time of year. And, when I meet new friends and I throw a knowing glance at my husband, whose brown eyes return my glance with his special brand of kindness as the conversation turns to family. I know it's coming. "My parents? Well, I lost my father when I was four months pregnant with my first son." "Oh, I'm so sorry. How did he die?" We straighten our blouses and clear out throats and after we've recovered from the awkwardness of it all, we take sips of sweet tea as inwardly I shake my head at how one bite of an apple could cause so much pain. Inevitably, Easter follows the anniversary of my Dad's death. As I raise my hands and they flail about as I tell our latest family story - the kind where just words simply won't do but need all the emotion I can muster, I remember Dad. And, as I raise my hands in worship on Easter morning - praising the One who has defeated mental illness and this present darkness and suffering, I will remember Dad. Our God is not dead. I have hope deep down in my soul. For me. For my siblings. For my friends whose hearts are broken. For my children. For those who suffer with mental illness and are precious in God's sight. Because Jesus - the triumphant One whose death and life my family will mourn and celebrate in the span of three days - LIVES! Because Jesus - is the Comforter of my soul. Because Jesus - died just to know and love me. And, in the midst of my pain and sadness - yesterday, today, and tomorrow. Oh Sarah, this is beautifully painful to read, my heart is broken for u.....praise the Lord that there is a "rescuer" of this broken world. Praise the Lord that pur hope is not in this life....looking forward to the day when He will redeem, restore and make ALL THINGS NEW. I love u so much and I wish I could give you a real hug. I gotta say, my biggest memory of your dad was seeing him muster up his courage and strength to cone to your wedding watch you walk down the aisle and get wedding pics with u, his cherished daughter. What an act of. Love. Jo - thank you, my precious friend! Having him at my wedding was one of my favorite memories of him, too! Love you! I can feel your pain. :( My father died when I was 16. The longing never ends. I'd never wish him to come back; he died of a terrible illness. But my longing for Heaven gets intense. Every holiday is painful. His anniversary is just before Valentine's Day. Huge hugs. You're right, Tammy. It never ends. It is usually a dull pain for me now that only resurfaces at a few times a year, but the longing to have him share in our family memories and be here to be my Dad never ends. I'm so sorry for your loss and all the suffering that preceded it. My husband's grandfather was showing many signs of dementia/Alzheimer's when he died. There are times that I can be filled with fear at the idea that my own husband will suffer from it. That song is one of my favorites. I get goosebumps listening to it. I hope your Easter is one of great joy even as it carries sadness. Nicole - that song gives me goosebumps, too. EVERY time we sing it at church or I listen to it. I'm sorry to hear about your husband's grandfather. My grandmother had dimentia and it was very difficult to watch. Hugs to you. Beautiful post. Thinking of you as you mourn and celebrate. MR - thank you, friend. Thank you for sharing with us. May you always have a sweet memories of your time with your dad! Sarah, I am so sorry for your loss and sadness. I am thankful that you are so willing to share you stories, as I often find something in them that gives me a new strength. My mother has been diagnosed with Alzheimers, early onset, for the last 10 years. My father moved her close to me six years ago and still I find myself missing my mother, the woman I grew up with, who raised me with all of the love she could muster. I feel sorry for myself and at times am angry that my children will never know the woman she was to me. She struggles to find words that make sense and cannot remember, even when in the same room with us, that my 13 week old baby is a girl, much less her name. She argues with my 4 year old and I have difficulty explaining to Caroline that Mom Mom is sick and she can't help her condition. I need to remember that I am lucky to still have her with us and learn to accept the mother that I still have. A daily struggle for me. Thank you for reminding me to continue to appreciate what I have been given! Have a wonderful Easter with your beautiful family! Brett - I can relate to so much of this. My grandmother had dementia and it was very difficult in the last few years I spent with her. It is definitely a daily struggle. Thank you for sharing. I remember your Mom. Do you remember the time we went to a show at the Mechanic together in 8th grade? :) Your mom and dad took us. Such a good memory for me. Hope you have a wonderful Easter, too! Sarah, I love, love the way you share your life and your heart with us on your blog. You truly let your light shine and glorify God through your pain, your struggles, and your joys... Thank you! And you have a beautiful way with words. 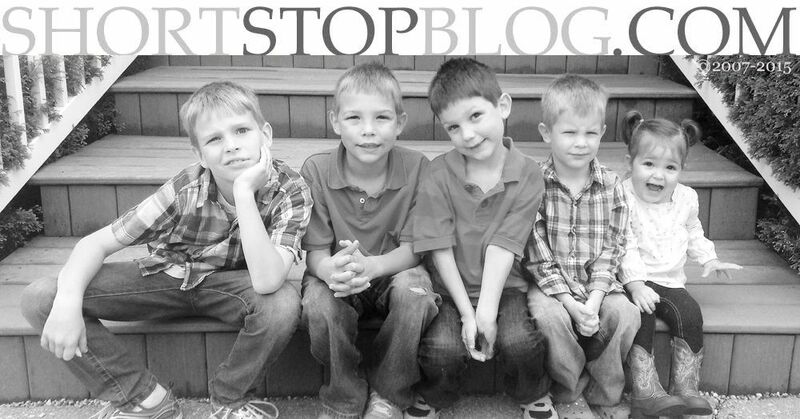 It is awesome to see God work through your family, your life, and your blog. Love you!! Crystal - Thank you, friend! And, that song really moves me, too. LOVE it!